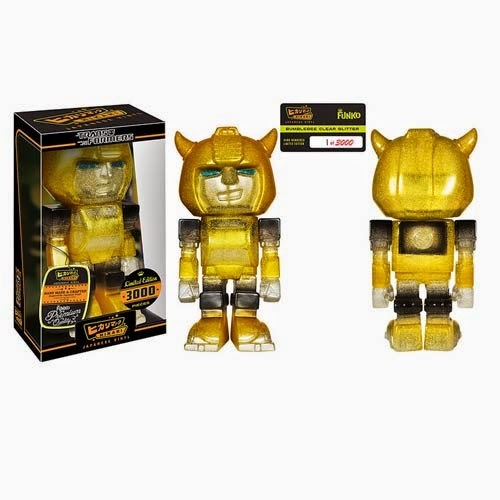 Funko has just announced that Transformers has joined the Hikari Sofubi figure line with Optimus Prime and Bumblebee. 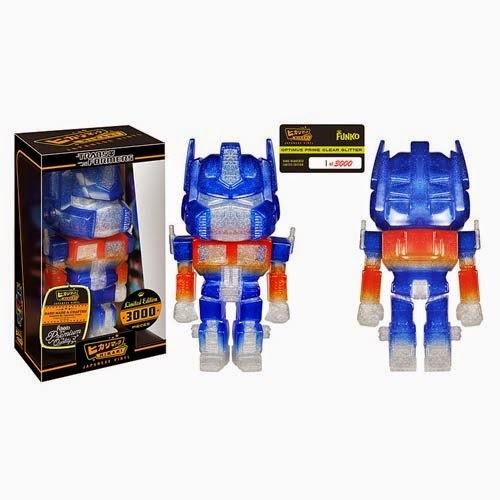 Optimus Prime the classic leader of the Autobots has now joined the Funko Hikari Sofubi line with the Clear Glitter figure that is a limited edition of 3,000 pieces. The figures are individually numbered and stand 6-inches tall. The Funko Transformers Optimus Prime Clear Glitter Hikari Sofubi Figure is now available for pre-order! Bumblebee, the famous Autobot that is always fighting side by side with Optimus Prime has joined the newest line of Funko Hikari Sofubi vinyl figures. The Bumblebee figure is in Clear Glitter and is limited to only 3,000 pieces that are individually numbered and stand 6-inches tall. The Funko Transformers Bumblebee Clear Glitter Hikari Sofubi figure is now available for pre-order! We are definitely looking forward to the Hikari Sofubi line to begin! They have definitely shown great interests from the fans and it shows because the Batman and Teenage Mutant Ninja Turtles Hikari Sofubi Vinyl figures have already sold out for pre-orders.